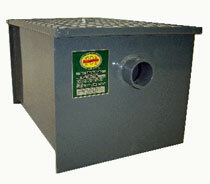 The 30 pound capacity grease trap from BK Resources with a 15 gallon per minute flow rate. Both ends accept No-Hub Adapters for steel or plastic. T-vent pipe included. 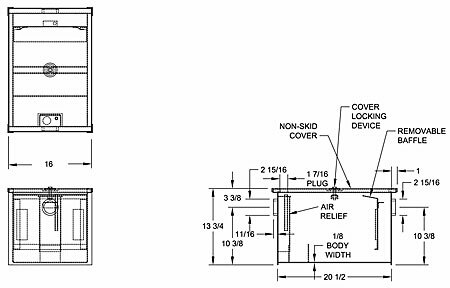 Features no-skid cover with locking device. 2.5 inch inlet/outlet connection. PDI Certified.